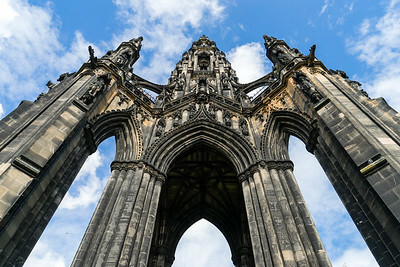 Sir Walter Scott Monument, Edinburgh. Edinburgh Castle and Old Town panorama. 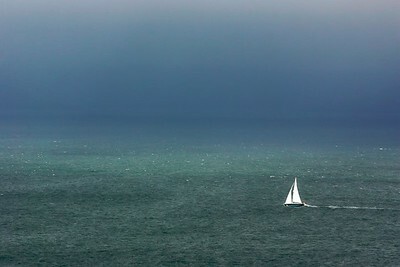 Yacht in the sea off the coast of the Isle of Skye.